The Isle of Wight festival comes drenched in a history that's integral to the musical and cultural landscape of the UK. It's first incarnation brought us the legendary 1969 appearance of folk minstrel Bob Dylan and the ill-fated 1970s event, which saw some 600,000 people descend on the site, surpassing the numbers for the legendary Woodstock. After a period of slumber the event was woken again to a riotous reception in 2002, putting on some of the best shows the country has seen in recent years. 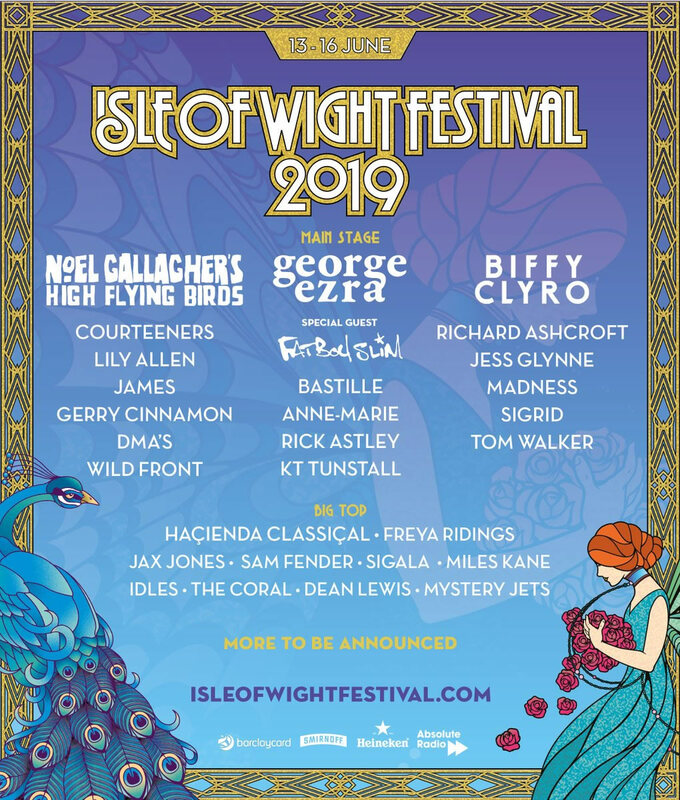 In recent years The Isle of Wight festival has put on a musical showcase without compare, mixing some of the most popular artists of the hey-day of Rock 'N Roll, such as David Bowie, The Who and The Rolling Stones with a number of iconic contemporary acts such as Muse and The Prodigy. The main stage is unsurprisingly where you'll find most of the main action with the Big Top providing the more pop based kicks, and the Dance tent where you can make shapes till the lasers stop. It's not all main-stage madness either at the Isle of Wight festival, with enough supporting acts to keep even the most discerning festival goer amused. Check out the Cabaret Club where you can see all kinds of sleazy fun, ranging from drag queens through to cream covered Burlesque girls. Bearded types and girls with beehive hairdos will feel right at home with the blend of debauched refinement on offer from the intoxicated tearooms, and you'll be pleased to learn there's no Illuminati antics, just the best in Acid Jazz and Skiffle, ready to help you let loose in the Bohemian Woods. On top of all this there's bathing, beaches, bars and cafes – just about everything you could want when it comes to fun and relaxation.